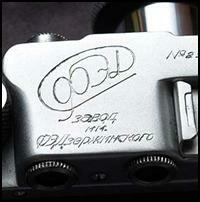 This is a site for FED and Zorki , Soviet copies of the Leica II camera. 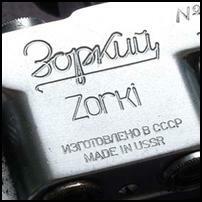 These pages are dedicated to the first models of the glorious FED and Zorki cameras. These cameras were produced in the old USSR for almost two decades, starting from the introduction of the FED during the middle 1930s. This site is primarily a user’s site and contains information about using and maintaining these cameras. Collectors may be disappointed to find that there are no data like production figures, design variations, and other information which camera collectors are interested in. FED and Zorki are a joy to use. However, these cameras often have bugs which prevent their proper use and appreciation. Concerns such as proper film loading, focus calibration, and shutter adjustment require solutions which are quite unique to these cameras’ design. Such details will be found in the pages of this site. The methods described here are far from complete, but they would be sufficient to restore an old FED or Zorki back to working specifications. The camera names“FED” and “Zorki” as used in this site refer to first models of these cameras. Film Loading and Film Leader Preparation. Common Bugs and How to Zap Them. Rangefinder and Lens Flange Adjustments. Lenses for the FED and Zorki.